Up to 24-hour sweat protection. Ethanol alcohol formula helps reduce irritation from shaving. 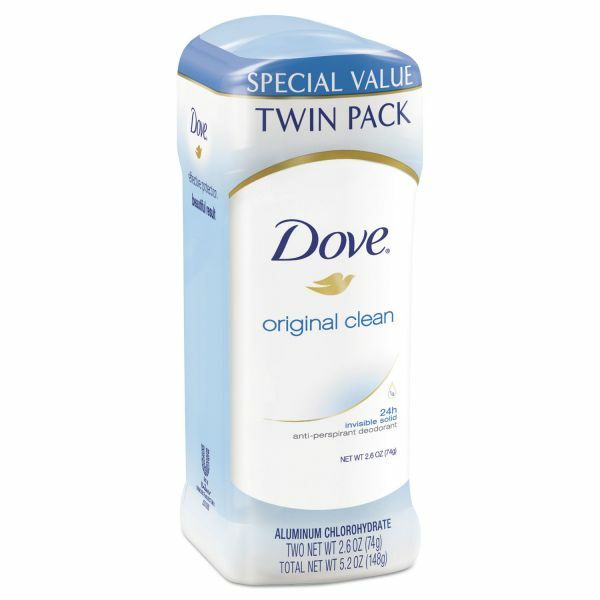 Contains 1/4 moisturizers for great underarm care. 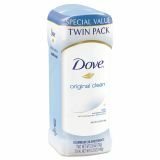 Dove Invisible Solid Antiperspirant Deodorant, Original, 2.6 oz Deodorant Stick, 6/CT - Glides on easily and offers up to 24-hour protection against sweat. Gentle on skin, the alcohol (ethanol) free formula contains 1/4 moisturizers to provide great underarm care. Helps skin to recover from shaving irritation so that you can enjoy underarms that look and feel softer and smoother.